The guide will meet you at Konggar Airport, and transfer you to Lhasa city. On the way, you'll get greeted by Nie Tang Budda, a Budda image engraved in the mountain face. After arrive in Lhasa, rest and acclimatize overnight in Lhasa. 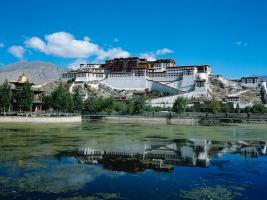 - The Potala Palace: The most imposing attraction in Lhasa. One of architectural wonders of the world contains 13 storeys tall and thousands of rooms.We kindly suggest you take taxi to the top of the palace which costs about 10 and then walk down after your visiting. 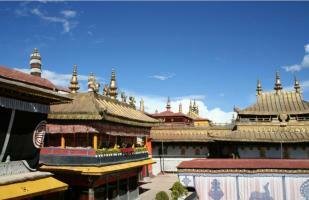 - The Jokhang Temple: It is 1300 years old and is one of Tibet's holiest shrines. It was built to commemorate the marriage of the the Tang princess Wencheng to King Songtsen Gampo, and houses a pure gold statue of the Buddha Sakyamuni brought to Tibet by the princess. Leave Lhasa. Pack your luggage and get ready for leaving. The guide will transfer you to the airport, and help you board the plane. Say goodbye to Tibet and fly out. B. Meals as listed in the itinerary, B=breakfast; L=lunch; D=Dinner. C. Personal tour guide & driver + private car / van for private transfer, English speaking tour guide explain sightseeing along the tour. D. Hotels accommodation (two people live in one room) as listed in the itinerary. E. All Service Charge and Taxes. 1 . You can book online or by email, tell us which hotel you will live in Lhasa..
★2.Please do remember to give us your personal information for Tibet Travel Permit (email us the photo-copy of your passport and visa and Profession)! ★3 the local tour fee will be increased in July and Aug every year, so you need ask for the new price with your travel consultant! 1. 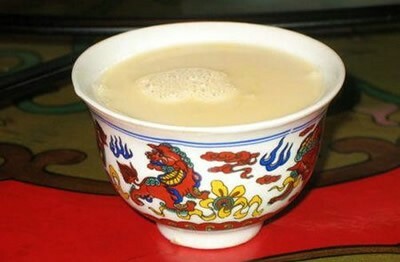 A power of attorney which proves Mainland agencies request Tibet travel agents receiving the visitors. (The above information are all requested faxing the typed document. Handwritten and email are not available. Travel agencies must have the text of the paper and the travel agencies' seals. 6.If you travel outside the Lhasa , the team needs for a travel permit and the authorization Tourism Bureau permit, insurance, the security Office of certification. 7. When you visit Ali and the non-open areas, you need for the authorization of the Tibet Military District, visa and the Foreign Affairs Office forth permit. 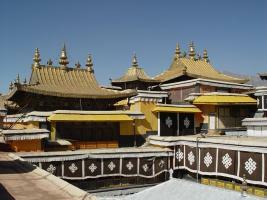 We have just returned from 3-day (2 night) Lhasa Tour organized by ChinaTour.Net. The tour was very interesting, informative and very well organized. We met the guide at Chongqing airport who gave us the Tibet permit and helped us to check in to the flight to Lhasa - the guide was very organized, punctual and more.. I took a 3 day tour with China Tour to visit Lhasa. The set up and planning was great, and suitable for my short visit. 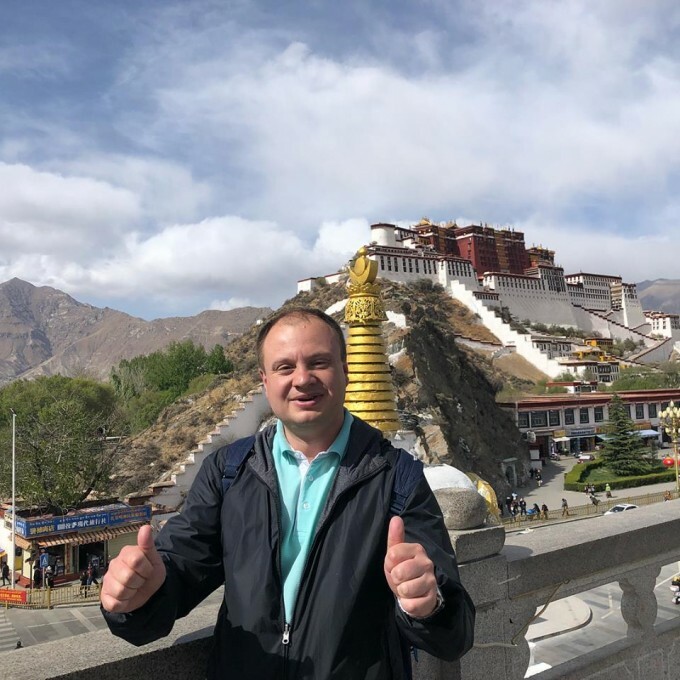 The tour and the fee that I had paid included: permit to Tibet, accommodation in a 3 star hotel, pick up from and drop off at the airport, breakfasts, lunches, dinners and visits of the main more.. 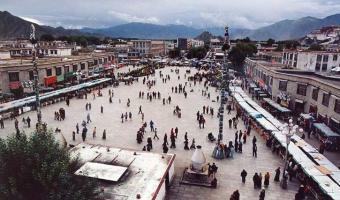 I travelled to Lhasa on 6 february 2012. I was met at the airport by Tinzinc. He spoke great English and was very keen to help. The restauarants that we visited during our trip were great as was the food. The sights that we visited were very interesting and we were able to take great photos. The hotel we stay more.. Reply : Thanks so much for your tour inquiry with Chinatour.net again, and I see that you got answer from whatsapp this afternoon already, and if you have any other question, you can ask me by email too, and we will help you for sure. Await your reply. thanks. Reply : Thank you for your email to Chinatour.Net Your schedule will be: 2018-9-2: be met at the airport and transferred to the hotel. 2018-9-3: 1 day Lhasa tour. 2018-9-4: 1 day Lhasa tour. 2018-9-5: Be dropped off to the airport. Is it right? Looking forward to hearing from you.